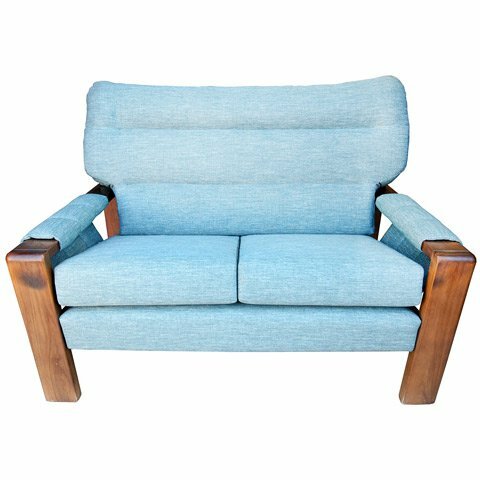 This gorgeous Blue Sofa has been beautifully reupholstered and restored. The timber elements were restored and brought back to mint condition. Now, with quality new fabric upholstery from Warwick Fabrics, the sofa is completely updated. The upholstery was Scotch Guarded prior to delivery to protect it from stains. This is part of the service we provide. If you have a sofa that needs updating, please contact us for a quote.